When Jesse Holman combined the Latin words for spring, summer and fall to name his property Veraestau in 1810, he hoped winter would never touch his home. In a way, it never has. 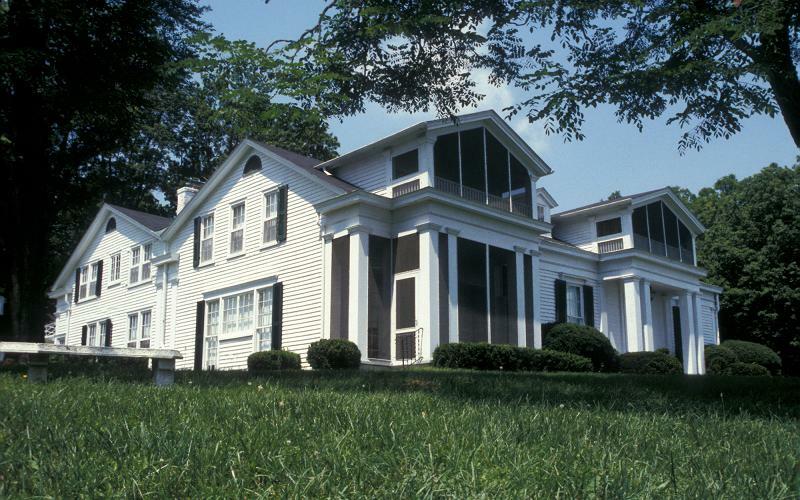 Set high above the Ohio River in Aurora, Indiana, the landmark home captures a long sweep of Indiana's architectural history and exemplifies the historic preservation practiced by generations of two families: the Holman/Hamilton clan and the O'Brien/Gibson family. In 1810, Holman built a two-story log house with a brick addition and gave it the name of a grand estate. After the log home burned in 1837, Holman's son-in-law Allen Hamilton bought Veraestau, salvaged the remaining brick portion, and in 1838 added a one-story Greek Revival structure. The style was at its height; architectural trendsetters employed Greek Revival to reinforce similarities between the democratic ideals of ancient Greece and the new United States of America. In 1913, Allen's daughter Margaret Vance Hamilton added a two-story Greek Revival structure that included four bedrooms, a bathroom, a dining room, a kitchen, a breakfast room and two sleeping porches.